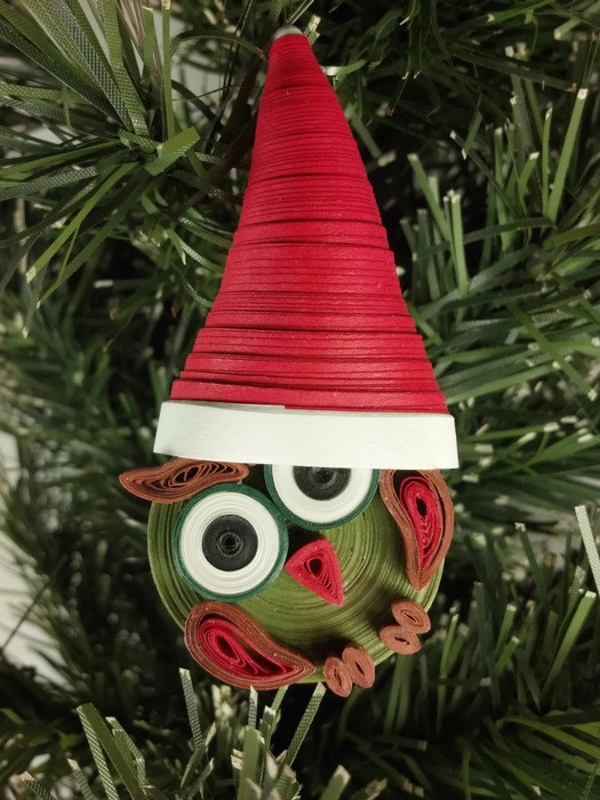 This owl paper quilled Christmas ornament is made from 1/8" thick and 3/8" thick quilling paper. 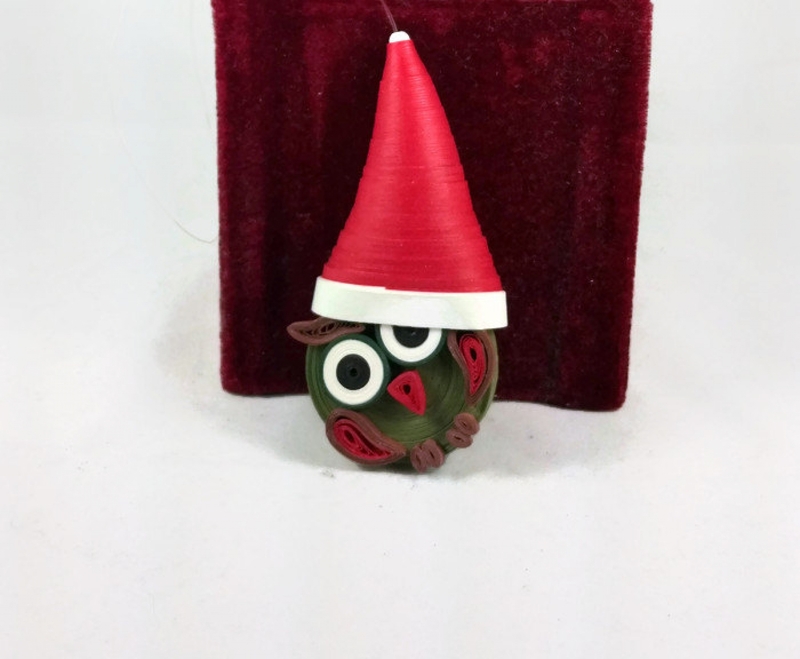 The body of the owl is a moss green and he wears a red Santa hat with white trim. The piece is coated in a sealant which makes it water resistant and UV resistant. It is lightweight. 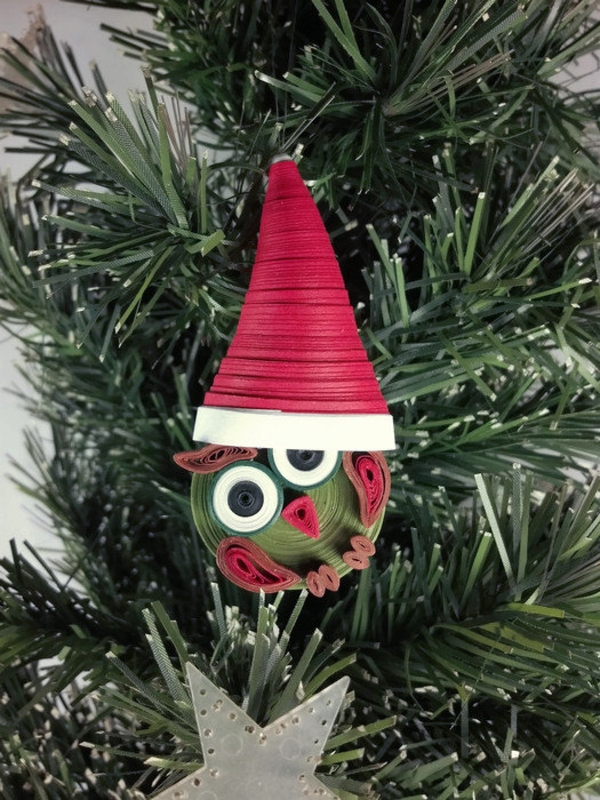 This ornament hangs from and "invisible" string for hanging on your tree. 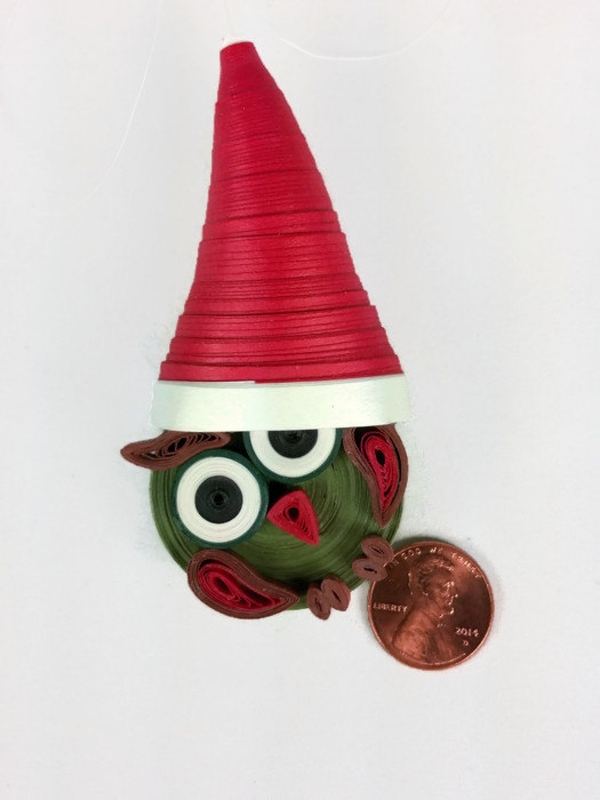 Many of the design elements for this owl have been inspired by my quilling mentor, Honey Moser. If you like this and prefer a different size or color combination please message me. Want the owl to be a brighter green? White? I will be delighted to make you a custom piece! 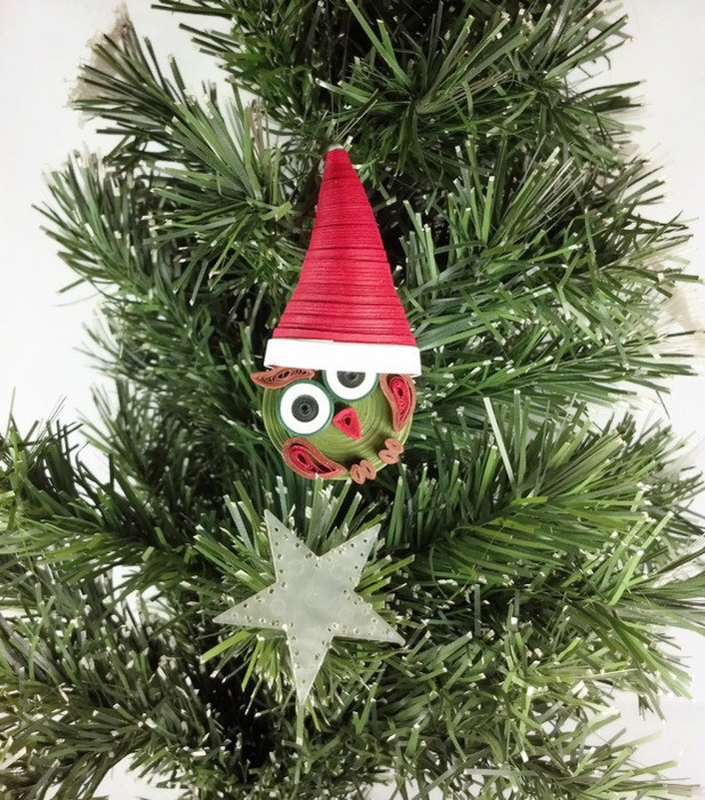 Make sure you also visit a more "traditional" Santa!